It caught me by surprise the other day when I got asked to do a Etsy Shop Review all thanks to the lovely Soph from Bamble Vintage. I was so honoured and always will be, but it got me thinking about my blog and how much joy it has brought me over the past 3 years. 3 years of doing something that I truly love, it will always be my dream to be able to this for a job but at the moment I'm loving the opportunities that come with it. I actually did my very first collaboration and I loved being able to do a review for someone else's Etsy shop. It also gave me great confidence in myself and I was very excited to start writing the blog post. 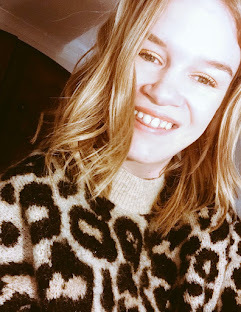 Lottie's Lott has always been a place for me to share my love of Vintage and over the last year and so it has been a place when I can also share my love of fashion, beauty, lifestyle which is all based around Vintage so infact it is a great combination. I have learnt so much with blogging and I still like to improve things and make things look even better. Another thing that made me start my blog was my Instagram feed, if lots of you have been following me since Lottie's Lott began then you most will likely know about how I began posting vintage images; mainly Old Hollywood Stars such as Marilyn Monroe, Audrey Hepburn and Lauren Bacall which expanded in the 1960's and how much I became obsessed with Twiggy and Pattie Boyd. Then I was lucky enough to get a record player for my 23rd birthday and went to choose which one I wanted a week before. I was over the moon and since that day it became my pride and joy and loved it from then to the point where my room is pretty much surroiunded with vinyls. Instagram has changed a lot over the years but it is still my favourite app to use. I love being able to share my Vintage hero's and share a few fashion photos. I love anything quirky, different and retro. I guess you could say that's me in a nutshell. Funny enough here is my current feed at the moment. What do you think? I peronally love it and I hope you do too! Thank you to everyone who continues to follow my journey on Lottie's Lott and my instagram! You guys are fab and I cannot thank you enough! !